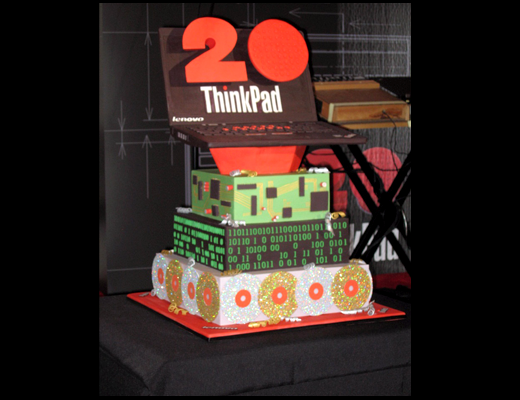 Twenty years ago, IBM released its first ThinkPad. The brand’s current parent, Lenovo, gathered customers and media in New York last week to celebrate the anniversary of the flagship brand. The celebration included a display of some of the machines that turned the brand into a computing icon. 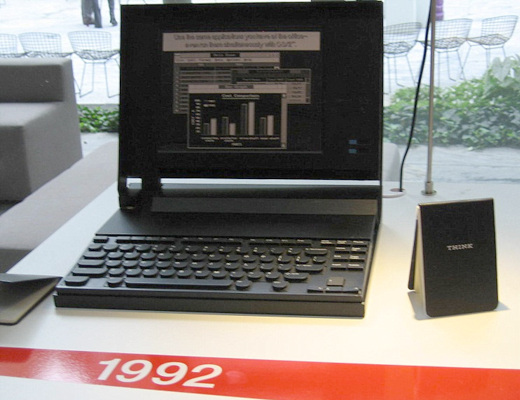 Bet you didn’t know that one of the very first ThinkPads was a tablet! 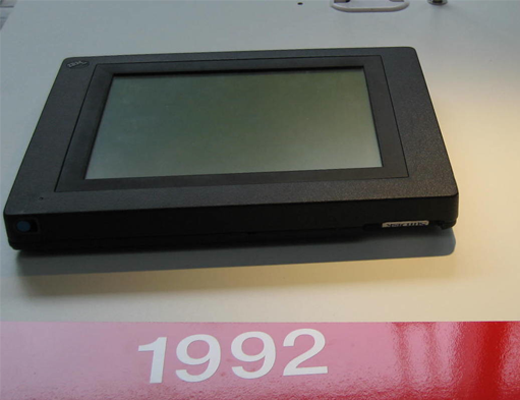 The 700T was announced in April, 1992, and boasted handwriting recognition, a magnesium case, and flash memory instead of a hard drive. 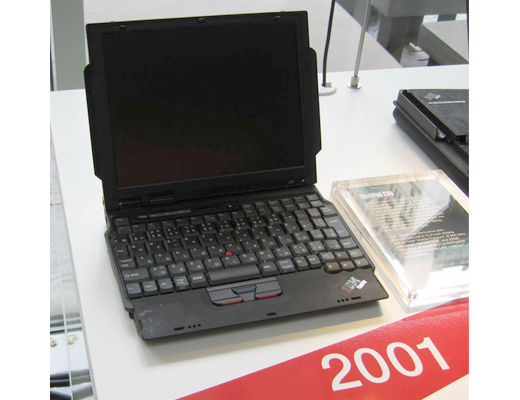 The original ThinkPad 700, with its monochrome screen, had a 25 MHz 486 processor, whopping 4 MB of memory, and an 80 or 120 MB hard drive. 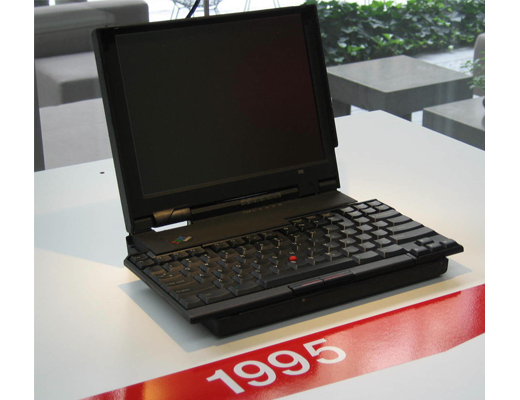 The name “ThinkPad” was coined in 1991, based on the name of the leather-bound notepad with the word “Think” on its cover that was once issued to every IBM employee. 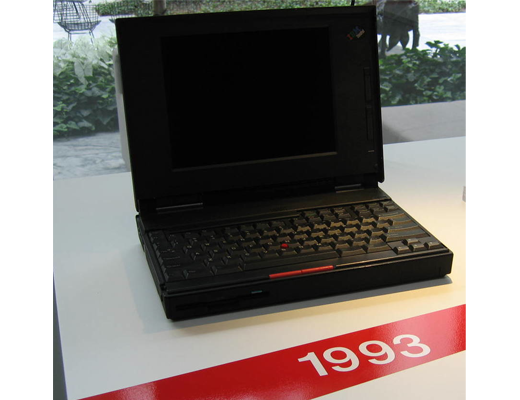 1993’s ThinkPad 750C was not only a colour machine, it was the first ThinkPad to fly in space, on the shuttle Endeavour’s mission to repair the Hubble Space Telescope. Check out the red TrackPoint cover; it’s been on every model since. The 755 CDV looks like a standard laptop, but remove the back of the display, lay it on the deck of an overhead projector, and you have a display panel. The keyboard on the 701c, better known as the Butterfly, expanded as you opened the machine to allow a nearly full-sized keyboard in a tiny form factor. The Butterfly is now part of the design collection at the Museum of Modern Art in New York City. 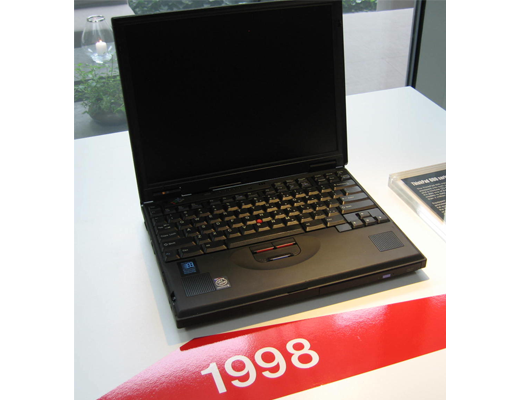 1998 saw the introduction of the 600 series, probably the most popular line of ThinkPads in the brand’s history, with sales of over two million units. It had a Pentium II processor, and both a hard drive and a CD-ROM drive, as well as a 56K fax modem. 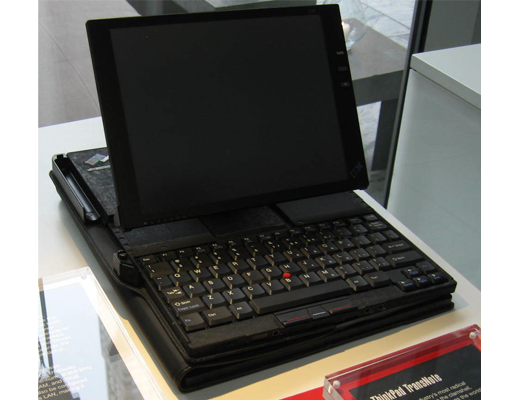 Also in 2001, the TransNote combined a mobile computer with a digital notepad. Users could write notes on a special paper pad with a digital pen and transfer them to the computer. 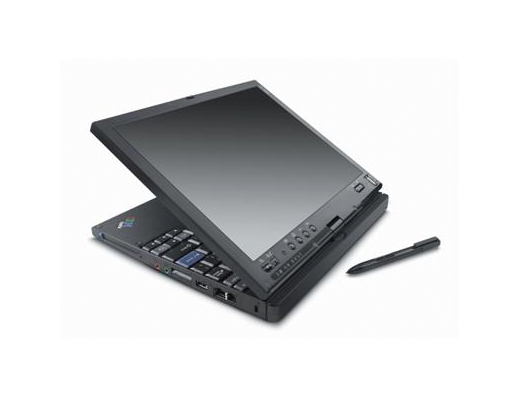 In 2006, the X41 convertible tablet arrived. 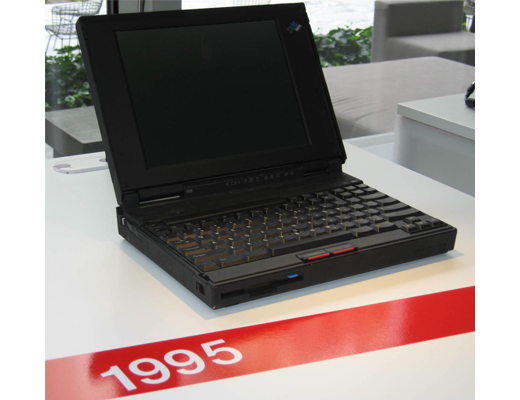 Although it still bore the IBM name, it was the first ThinkPad sold by Lenovo. 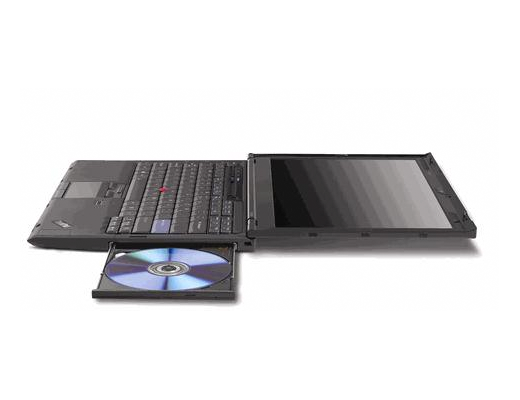 2008’s X300, as well as being thin, light, powerful and power-frugal, was an extremely important model to Lenovo, says David Hill, VP, Think User Experience and Design, because it was the first ThinkPad that actually wore the Lenovo name. It had to prove to ThinkPad loyalists that Lenovo was not going to ruin their beloved machines. A birthday wouldn’t be a birthday without presents, and in this case Lenovo gave its users the gifts: three new machines. 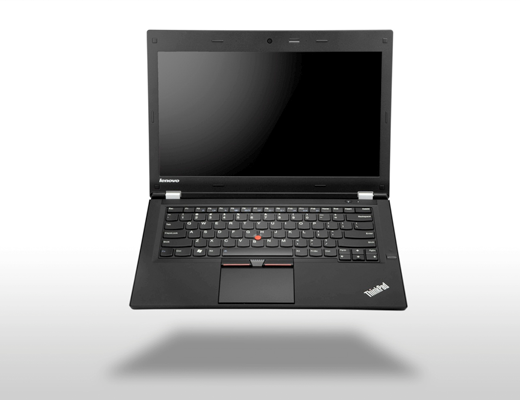 The X1 Carbon is the enterprise offering, weighing less than 3 lb. It has what Lenovo describes as a 14 inch display in a 13 inch form factor, yet still gives eight hours between charges. 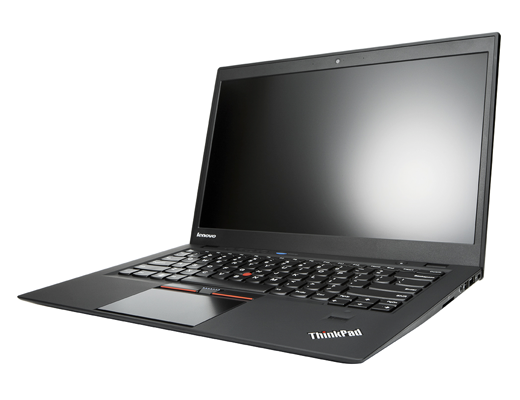 For small and medium business, Lenovo announced the T430u, which is less expensive and a little heavier, but still an Ultrabook. 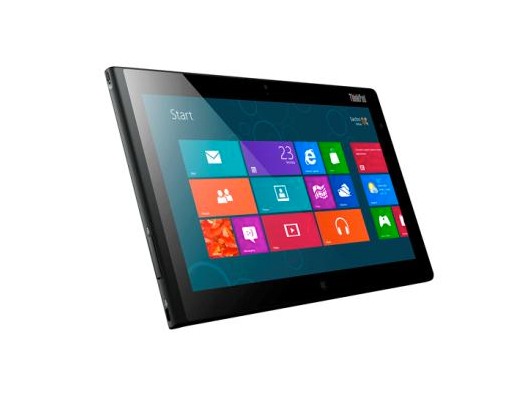 The third new offering, which will launch with Windows 8, is the Tablet 2.